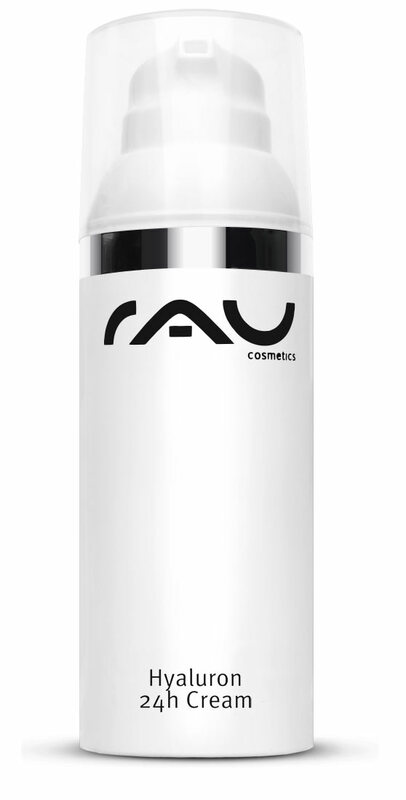 Our"RAU Hyaluron 24h Cream" is a compact hyaluronic acid cream for demanding and dry skin. Its main active ingredients are low-molecular as well as high-molecular hyaluronic acids, providing your skin with intensive moisture. Long-chained hyaluronic acid can effectively bind moisture inside the upper skin layers and, thus, cause an immediate plumping effect. This firming and smoothening effect is visble within a short time after application. In opposite to this, short-chained hyaluronic acid penetrates the upper skin layers and can have permanent influence on the skin´s inner moisture balance. 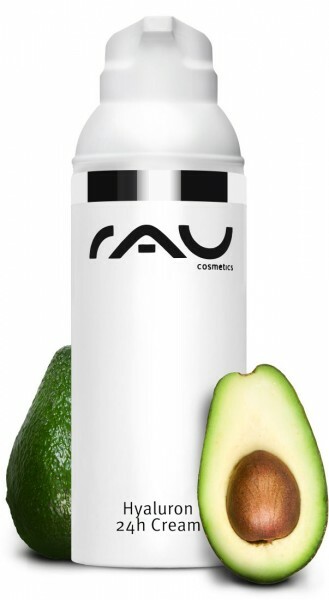 Lipid-supporting substances, like shea butter, avocado oil and olive-based squalane nourish dry skin. When used on a regular basis, this product can have moisture-boosting long-term effect. Your skin benefits from an increased moisture supply, making it look firmer and younger. Without mineral oils, silicone oils, parabens and PEGs - Made in Germany! Related links to "RAU Hyaluron 24h Cream 50 ml"
Customer evaluation for "RAU Hyaluron 24h Cream 50 ml"